From the depths of my recipes files I have unearthed and (Much to the families delight) made a batch of S'Mores Cookies. These cookies are Delicious and fun and everyone loves them. Special Uber thanks go to my friend Mike Zimmerman for taking the beautiful photos. Heat oven to 350°. Beat butter and sugar with electric mixer on medium speed until light and fluffy. Beat in egg and vanilla. Stir in crushed graham crackers, flour, and salt. 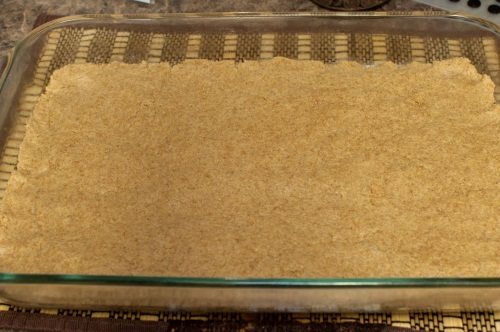 Press mixture over the bottom of a greased 13x9x2-inch baking pan. Bake at 350 for 20-30 minutes depending on how crunchy you like the crust. Melt chocolate and spread over graham cracker crust mixture in the pan. 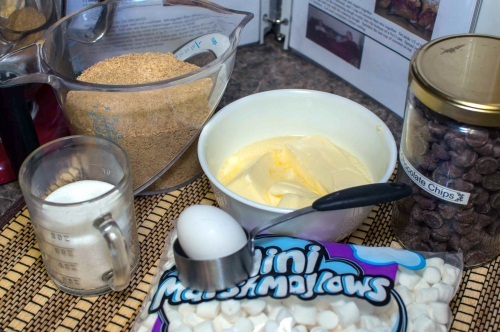 Sprinkle with marshmallows and press them gently into the melted chocolate. Toast marshmallows under the broiler keeping a close eye on them and turning the pan occasionally. Chill in refrigerator before cutting.